Many builders say they are willing To accommodate all owner requests. But the Outer Reef 700 reveals the lengths that one builder will go to create a boat for every boater. OK, I admit it. Size really does make a difference. Lest you think you’ve picked up a copy of Hustler by mistake, let me hasten to say that a fine example of this dictum is the Outer Reef 70 seen on these pages. It is essentially a stretched version of the company’s 65-footer, but, oh my, what a difference! Not only do those 60 inches make a quantum improvement on the interior and on deck, they make the boat even more fuel efficient because of the longer waterline. 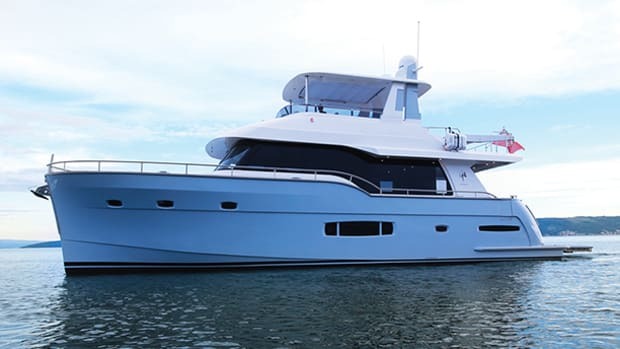 It’s a win-win that doesn’t add appreciably to the price of the yacht and, as a result, Outer Reef hasn’t sold a 65 since they introduced the 70. At first, the requests for longer hulls came because people wanted cockpits added, either for fishing or just as water-level access for diving or boarding a tender. But when the opportunity came to stretch the 18-foot-6-inch-beam hull to create a non-cockpit 70 (actually 71 feet 6 inches), the die was cast. 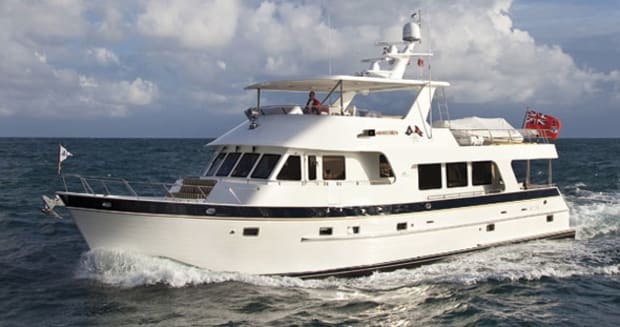 The accommodations forward of amidships remain essentially unchanged by the extra length, leaving the full-beam master suite and the two guest cabins as they are on the 65. One optional layout on the 65 turned the lazarette into a two-bunk crew cabin with access either through a transom door or via a door in the hanging locker of the master stateroom. The transom door is less than ideal at sea or in bad weather, and no owner wants the crew trudging through his private quarters. 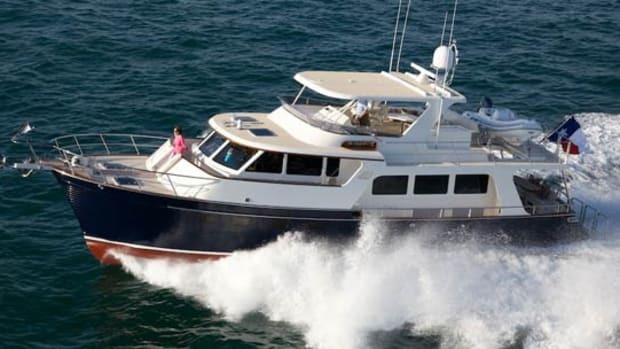 With the 70, however, the added length contributes 3 feet to the saloon and 2 feet to the aft deck (and lazarette), thus solving both problems. While there is still direct access to the crew’s quarters and engine room through the transom for use in port, a much more civilized stairwell in the after corner of the saloon provides all-weather secure entry to the crew area. One look around the crew area on the 70 and it’s clear that Druek and the Outer Reef designers clearly understand the adage, “A happy captain makes a happy ship.” Aboard Good Times, the 70 shown on these pages, the crew’s quarters should make for a very happy captain and crew, indeed. A private captain’s cabin with a queen-sized berth and direct access to a large head with shower is to port, and a comfortably sized crew cabin with bunks is to starboard, sharing the single head. The area also has a mini-galley to make it self-sufficient and, even if you don’t want to carry a crew, this area makes perfect sense for teenagers to have some independence. “Every, every, Outer Reef is different from every other Outer Reef,” says Jeff Druek, founder and CEO of this boatbuilder, with a wry grin. 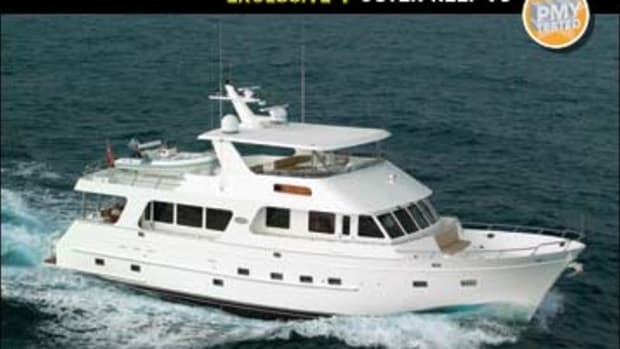 It’s one thing for a builder to pop out look-alike boats, with buyers changing only the upholstery colors. It’s entirely another for Outer Reef to move bulkheads, rearrange layouts, and even stretch the hull to add a cockpit or larger crew’s quarters. We asked Druek for insight into the process. Power & Motoryacht: What’s the starting point for a new Outer Reef? Druek: I personally do a design session with each client. We look at arrangement plans based on 20 or 30 other Outer Reefs, and then we customize it to their needs: layouts, systems, cabinetry, and so forth. We work with arguably the best and most versatile yard in Taiwan, of course. The folks at Kaohsiung’s Tania Yacht Company can do virtually anything we ask of them. 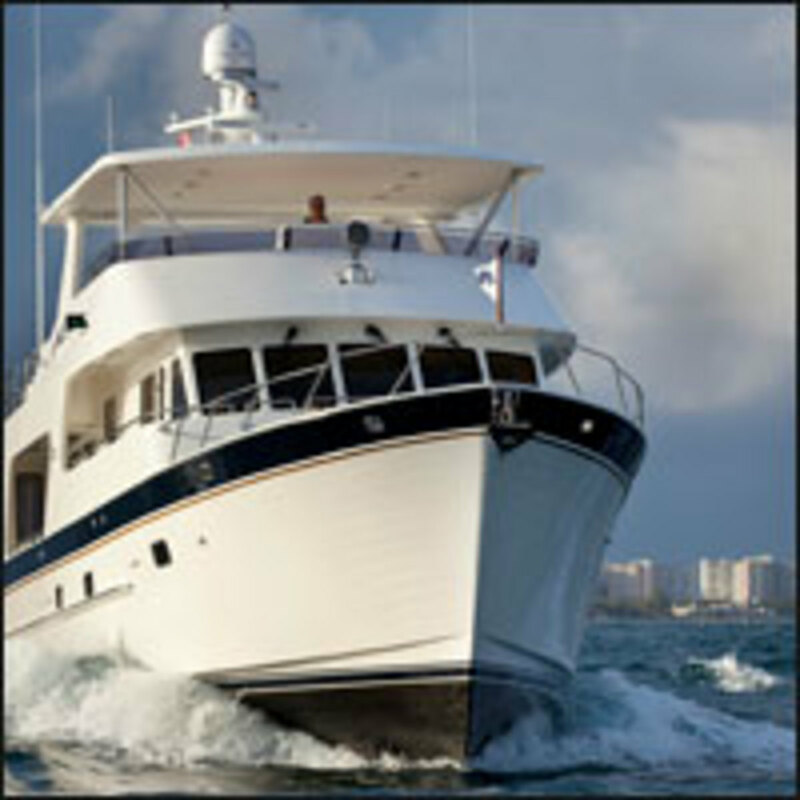 Power & Motoryacht: What does the client bring to the table? Druek: We encourage our clients to do something different...to be free spirits. Every change improves all our boats, because good ideas foster more ideas. We don’t just change the fabrics and the door hardware…we even throw ideas at the client. And often we get those “Why didn’t we think of that?” moments from their ideas. Power & Motoryacht: What’s the basic Outer Reef concept on boatbuilding? Druek: If someone is spending $2 or $3 million, why shouldn’t they have it their way? 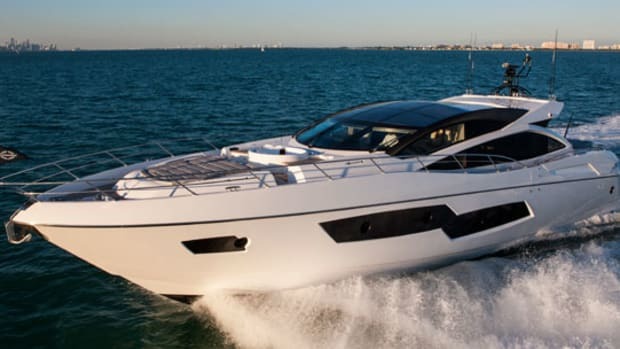 Power & Motoryacht: What advice do you give your clients? Druek: At our first design session, I say two things. First, have fun. Second, have an exit strategy. 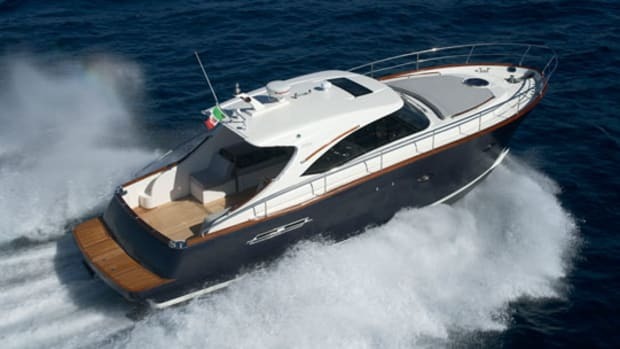 Power & Motoryacht: Define exit strategy. Druek: You need to think about selling your boat when you’re just building it, because every boat gets sold eventually. If I think the client is building a white elephant, I tell them. We don’t want to stamp on creative ideas, but we try to guide them on layout and equipment. For example, a client may say they don’t want a stern thruster, but 99 percent of buyers want them so the boat should have one for resale. Power & Motoryacht: What are the key ingredients in a successful build? Druek: Most of our clients are knowledgeable about how they use their boats and what they want. One might say they always tie up stern-to, so they want shore-power connections there. Another uses the starboard side when docking, so the fuel and water fills go there. That’s important information. Beyond that, we tell them to go look at other boats: both brokerage and our competition. See what they like and don’t like, and bring the list back to us and we’ll put it together. 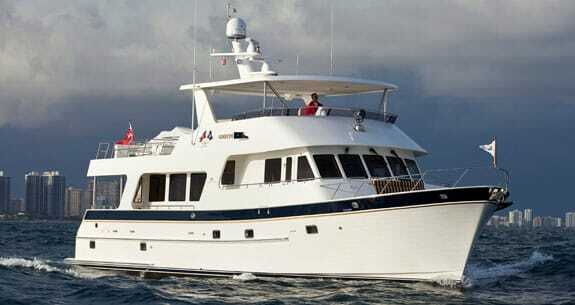 A lot of people love the pilothouse on one boat, but not the galley, or they like the master stateroom but not the VIP. Having a wish list is really essential right from the start. At this point, I need to make it clear that there is no such creature as a “standard” Outer Reef. Each and every one is tailored to the needs and desires of the owner, so the area abaft the engine room is really a blank sheet of paper waiting to be customized. One 70 under construction will have the beautifully finished captain’s cabin but, since the owners plan to carry only a husband/wife crew, the rest of the lazarette will be fitted with a workbench and storage, plus scuba compressors and an extra freezer. I don’t want to jump around into different areas too much, but the added five feet also makes an immense difference in the boat deck abaft the flying bridge. This now allows for a tender as large as 20 feet to be chocked easily. With the tender launched and the chocks removed, you can host your high school reunion as well. And then there is the saloon. An extra three feet allowed Druek and his design team to rethink the layout and add the crew stairs, and they turned the seating arrangement around from the one found on the 65. As you enter the saloon from the shaded (and, on Good Times, soft-enclosed) afterdeck, you find low cabinets and an L-shaped settee to port, and a pair of bucket chairs to starboard. What you will first notice, however, is the sweep of vision without bulkheads from the entry doors all the way to the pilothouse windows. 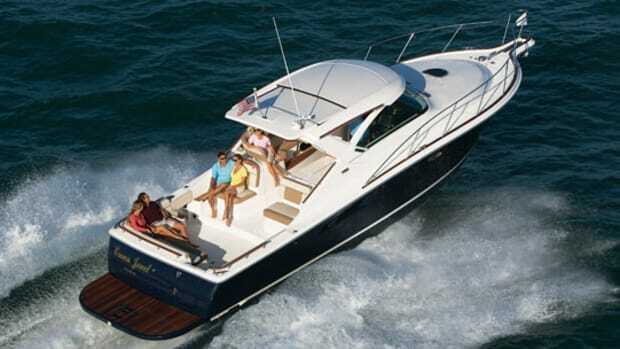 Large side windows and the openness make the 70 feel like a far larger yacht. Those side windows, by the way, are ⅜-inch tempered glass and those in the pilothouse are ½-inch tempered. Guests now face aft, with a pop-up TV in the cabinet and a view through large windows over the afterdeck, which now has room for uncramped chairs around the large table. The galley is amidships above the master suite, giving each space the benefit of minimum motion in a seaway. Druek stole a few inches from the saloon to expand the galley, which no longer features the U-shaped layout found on the 65 but instead a more interesting L-shaped arrangment. This allows for oversized granite counters (each with teak rails to contain spills) and a huge center island. But, and this is an important point for offshore cruisers, rearranging the galley put the counters close enough together so the cook can brace against pitching or rolling. The appliances are all GE Monogram in stainless and, in addition to the usual items, include a dishwasher, trash compactor, and garbage disposal. A stand-up fridge plus drawer freezer is opposite the galley, which eliminates the dayhead usually tucked into this area under the stairs to the flying bridge. It’s a personal call for each owner, but I sure like having a convenient head on the main deck. On the 65, I also liked the door from the dayhead to the side deck, for direct access from the outside without tracking through the saloon. As I considered the delightful airiness created by the absence of bulkheads separating the saloon, galley, and pilothouse, it occurred to me that this could be a problem when running at night. 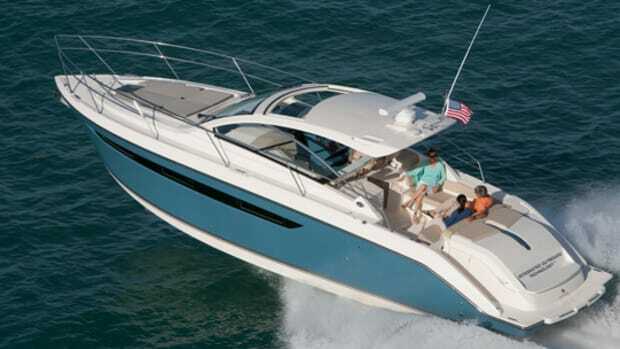 Saloon lights, and certainly the big-screen TV, could cause distractions or reflections in the pilothouse windshield panels. But Druek had the solution: one click of a remote button raised a solid teak bulkhead between the galley and the pilothouse to fully separate the skipper. A pocket door could also be installed but that wasn’t chosen aboard Good Times. Anyway, a slick idea solves a problem. 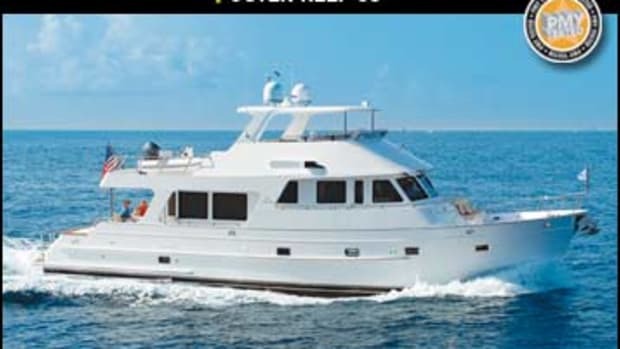 The pilothouse is clearly the heart of the Outer Reef 70, and it’s likely where guests will gather when underway. A large settee is raised behind the helm for good visibility, with a gorgeous teak table for drinks and munchies. The skipper lives in lordly grandeur with a single centerline Stidd chair on a pedestal behind a surprisingly simple instrument panel. In an era when 30-footers are delivered with dashboards as complicated as those of Stealth bombers, this straightforward black panel had just a pair of Garmin monitors, twin Caterpillar engine read-outs, a row of rockers for necessary items like the triple wipers, and the joysticks for the ABT-Trac bow and stern thrusters. There is ample room for more nav or communication electronics, but I found the ergonomic simplicity quite refreshing. To port of the helm on Good Times is a computer screen, remotes for the VHF, and a particularly nice touch: a lofty searail combined with hand holds so you can stand more securely. Gentle stairs from the pilothouse curve down to the cabin deck, with an ample foyer that conceals a full-size washer and dryer. Nice touch: These appliances sit in a molded pan so that the inevitable leaks drain directly into the bilge rather than ruining the teak sole. Directly across from the stairs is a guest cabin with double berth and en suite head that includes a full shower, while the VIP is forward with a lozenge-shaped berth and another pleasantly sized head with shower. The master spans the full beam, with an athwartships queen-size berth, a dedicated computer desk, and an en suite head that runs along the port side. Clearly designed for long-distance cruising or living aboard, the stateroom has a full walk-in closet forward plus another walk-in closet on the after bulkhead. A watertight and soundproof door in the after closet leads into the engine room, allowing the owner easy access and providing an emergency exit from the engine room as well. The flying bridge is pleasant, with an impeccably finished hardtop shading a pair of settees with tables. The skipper has another centerline pedestal chair behind a smaller version of the clean dashboard in the pilothouse. Separating the seating from the boat deck are a pair of fiberglass consoles that create an outdoor kitchen with barbecue, sink, fridge, and lots of stowage. Surrounding the boat deck are double stainless steel rails atop coamings, and the weldwork on these falls into the jewelry category. Each weld is fully polished and, in fact, the stainless steel fabrications, from the engine-room exhaust supports to the bow and side rails, are truly exceptional. While the owner of Good Times doesn’t have a Great Loop of the eastern U.S. in his immediate plans, Druek created a cleverly hinged electronics mast that reduces the air draft to just 20 feet, 6 inches. An almost invisible hinged panel at the back of the hardtop opens to allow the mast to swing backwards and, since this is not planned to be a regular occurrence, the mechanism relies on old-fashioned block-and-tackle gear rather than hydraulics. For an upcoming 70 that will transit even lower bridges, the Outer Reef team devised a way to lift the entire hardtop off and secure it to the foredeck, reducing the height of the yacht even further. 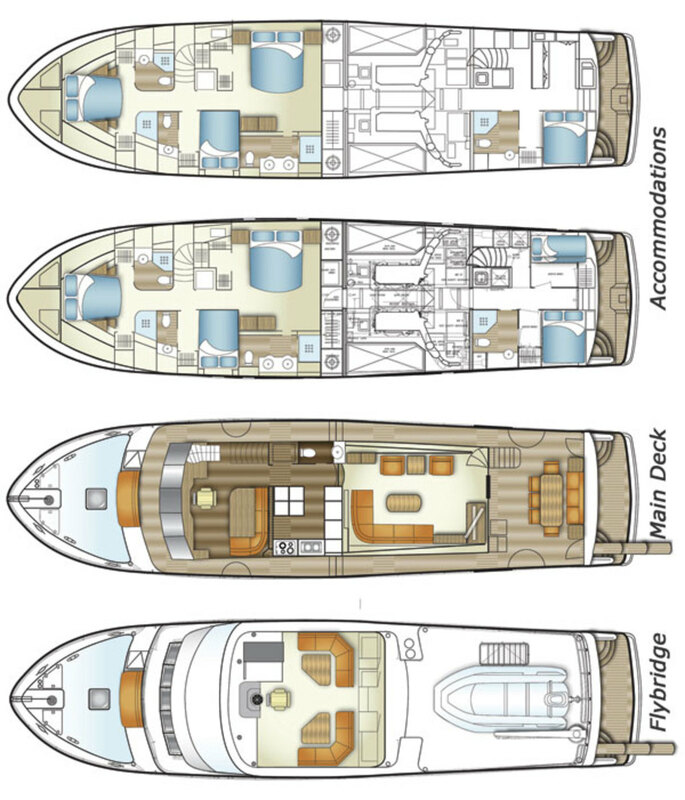 An enclosed bridge version of the 70 is also under construction, with a teak-lined skylounge and pilothouse instead of the open flying bridge. This allows the usual pilothouse to be turned into an area with a huge country galley and a wraparound dining table under the forward windows. 16 kW and 8 kW) are tucked aft in sound boxes, but these are also readily accessed without problems. This is an engine room where your service technicians may try to kiss you, so be prepared. Several items particularly impressed me with their thoughtfulness. First, the dual fuel filters for each main and the genset filter were grouped together for easy access, and each used identical filters, so the variety of required spares is reduced. The fuel manifold system was a masterpiece of both careful labeling and intuitive layout, so there should be no wondering which valve to open or close. This particular 70 had an additional 650-gallon belly tank under the master stateroom (instead of the standard 300-gallon belly tank) as well as the two standard 850-gallon saddle tanks, and a combination fuel polisher/transfer pump that allows the tanks (all constructed of 6061 aluminum) to be balanced. Normally, I would expect the engines and gensets to draw from the saddle tanks, leaving the belly tank as a reserve that would also keep the center of gravity low. A long list of standard equipment includes quality systems from TRAC stabilizers to Kahlenberg horns, Glendinning Cablemasters to the Maxwell windlass with CQR anchor. The standard engines are 503-horsepower Caterpillar C9 ACERT diesels, and I can’t imagine why you would want to opt for a pair of 705-horsepower C12 ACERTs because you’d just be pushing more water, burning more fuel and, in the end, you’d only move the hammer-down-flat-out top speed from 13.8 knots to 14 knots as shown on Outer Reef’s own performance curves. Every owner needs to find his own “sweet spot” that balances how fast he wants to get somewhere with what he’s willing to spend, but an Outer Reef 70 like Good Times (with the added tank) will take you more than 4,300 miles at a bit under 6 knots, or slightly less than 2,300 miles at nearly 9 knots. Your call. Solidly built, comfortably arranged, and thoughtfully outfitted, the Outer Reef 70 should clearly be on your short list even if you’re looking for a smaller offshore cruising yacht because, after all, size matters. 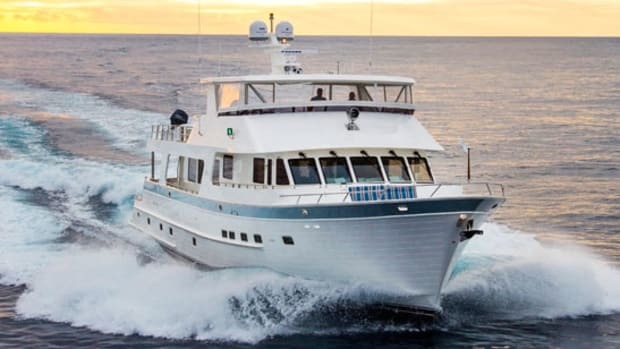 Noteworthy Options: ABT Trac 220 stabilizers, 15.5-hp Side-Power stern thruster, 36-inch built-in SeaStar barbecue grill, Glendinning 50-amp CableMaster with 75 feet of cable on foredeck.